Many professions may have a day or week out of the year that is used to recognize them and their hard work. As of Friday, September 21, Wisconsin court reporters have been enjoying their week of recognition for the outstanding hard work and dedication they've committed to their craft and the justice system. 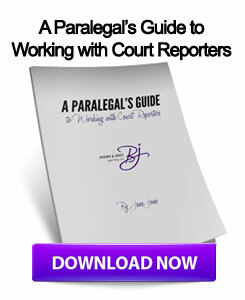 As reported by this blog, court reporting is a historic and unique practice that has been entrenched in major moments of history, as a court reporter must be present for depositions, hearings or trials during many news-worthy moments. These professionals must also be able to record conversations at realtime speed, and be certified. One court reporter, Karla Sommer, who is certified at 260 words per minute, spoke with WAOW-TV, a local ABC affiliate. Sommer commented on how technology changes have brought the industry into a more accurate, fast paced medium. Going from longhand to a stenographer's machine, and now to technology that translates the deposition transcripts onto a screen that can be seen by both the judge and reporter, the industry has changed tremendously. "The keyboard is totally different, every letter of the alphabet is not on the steno-machine, so I have to make a combination of letters to make another letter," Sommer told the source. 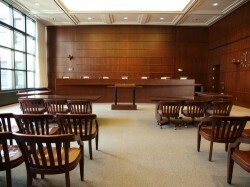 In addition to recording in courts of law, many court reporters are also commissioned by television broadcasters to supply realtime captions for major programs and broadcasts. Demand for this service is especially high with live sporting events, such as this past summer's London Olympics. In addition to these technological advances, video deposition services are becoming an increasingly used feature in the industry. For the most accurate deposition transcripts, lawyers may want to partner with Milwaukee court reporters that can provide video deposition services. This entry was posted on Tuesday, September 25th, 2012 at 11:54 am	and is filed under All Posts, Court Reporting News. You can follow any responses to this entry through the RSS 2.0 feed. You can skip to the end and leave a response. Pinging is currently not allowed. Way to go, court reporters!!!! It’s so great working in a state where we get recognition for what we do!